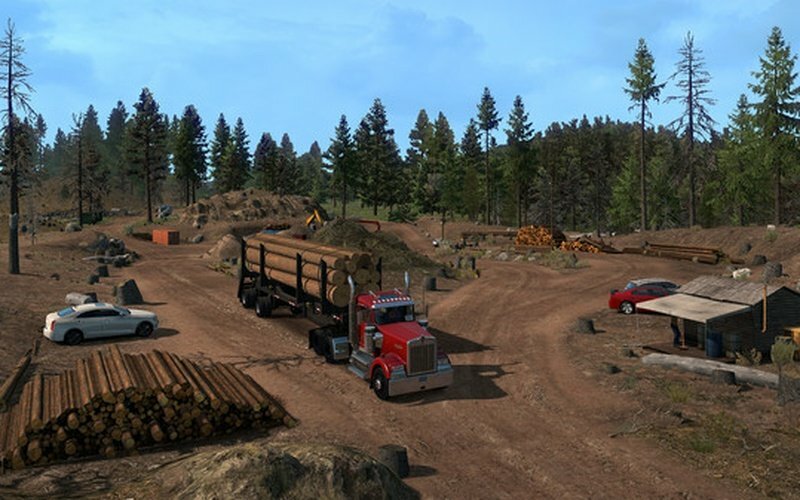 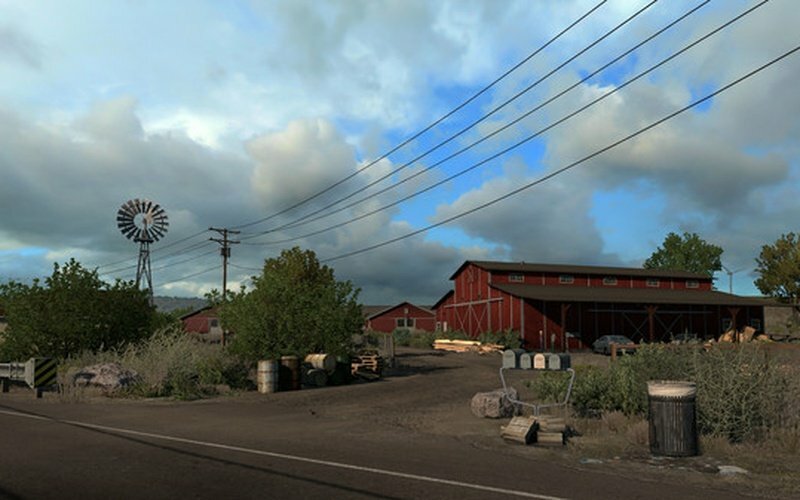 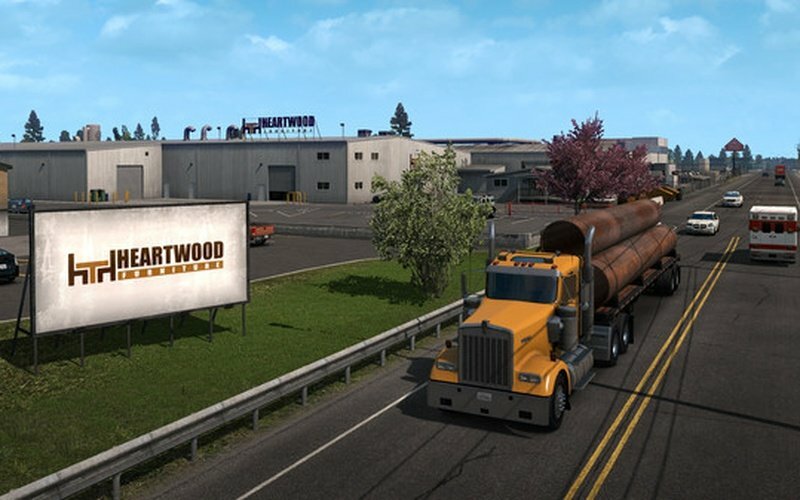 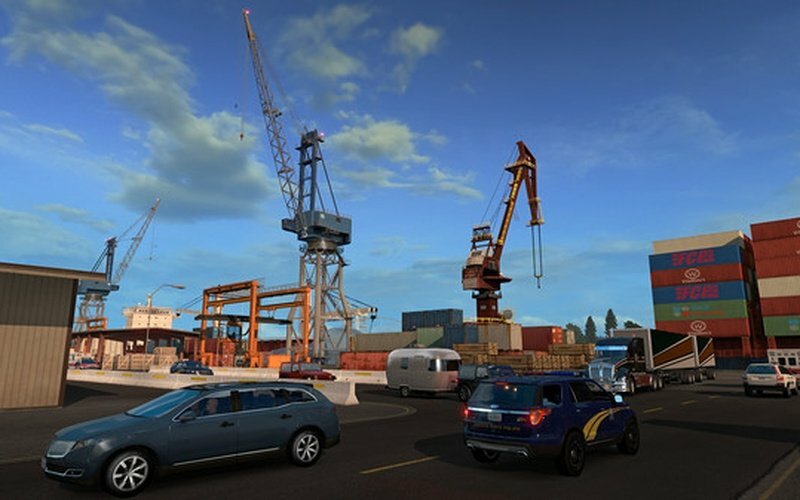 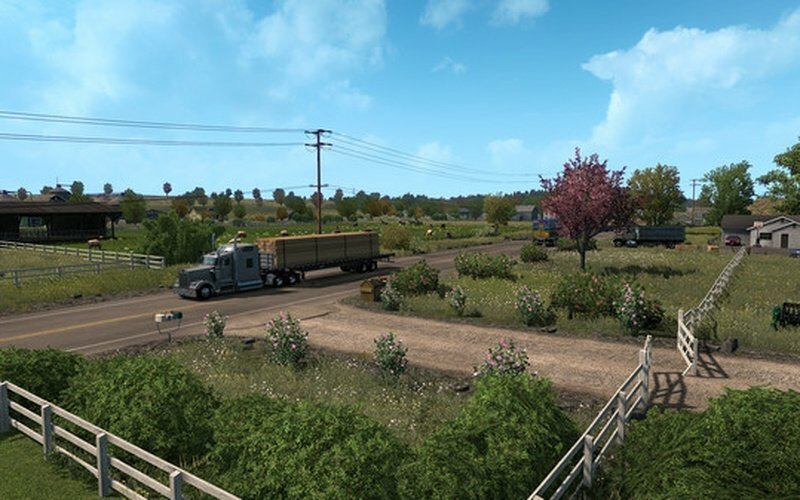 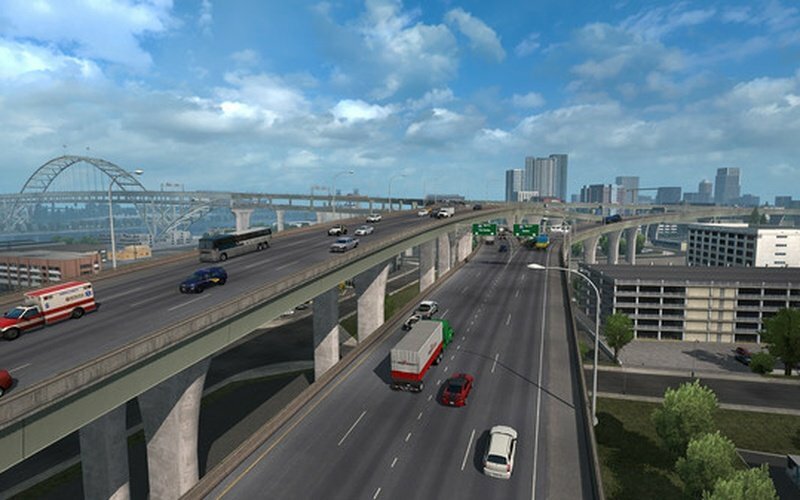 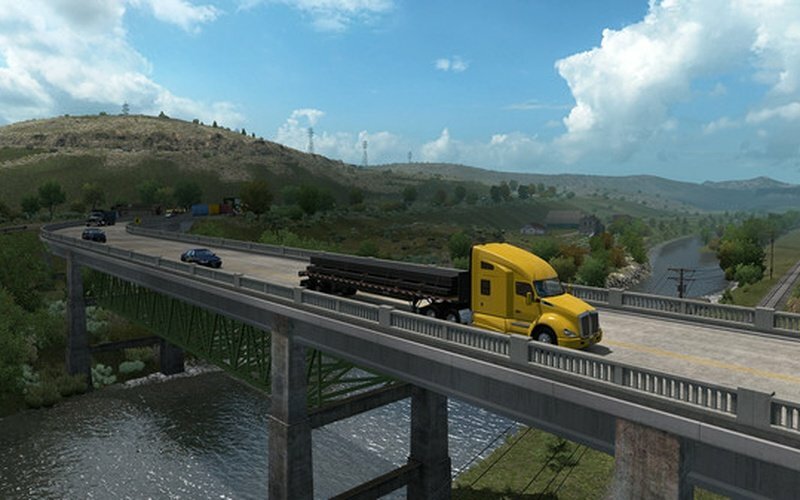 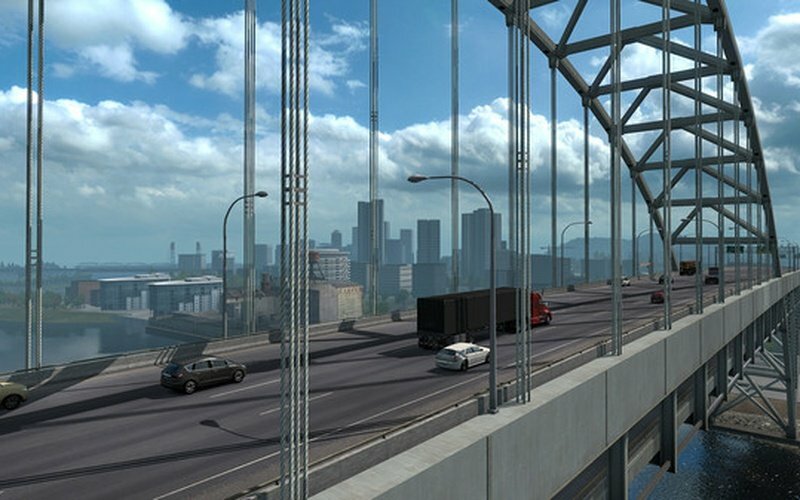 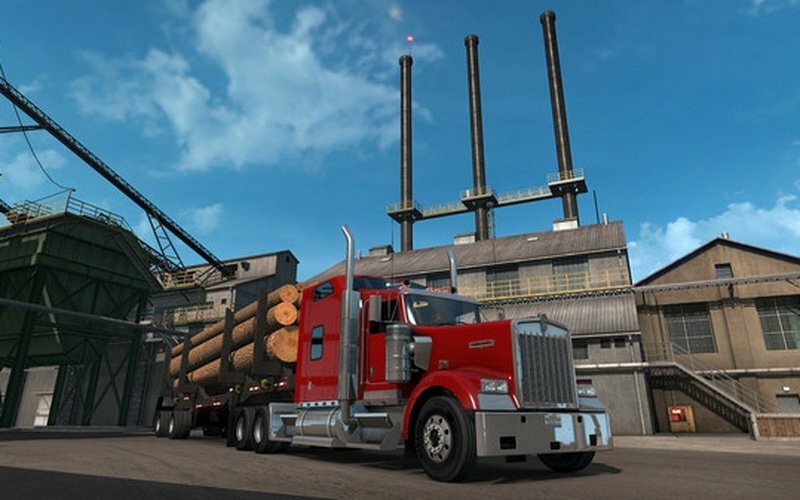 American Truck Simulator - Oregon is a downloadable content pack for American Truck Simulator, an open world simulation driving game. 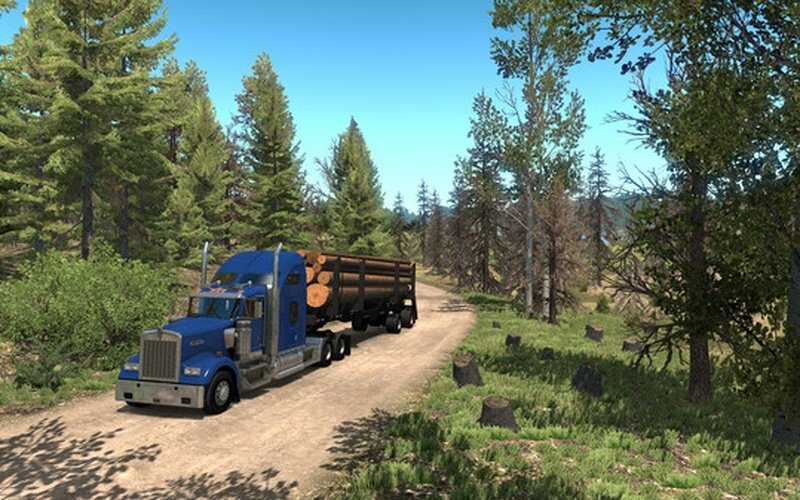 Explore the untamed beauty of Oregon, also known as the "Beaver State", with all of its mesmerizing natural scenery and desolate country-side that you're going to see while driving. 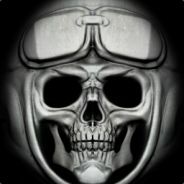 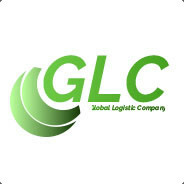 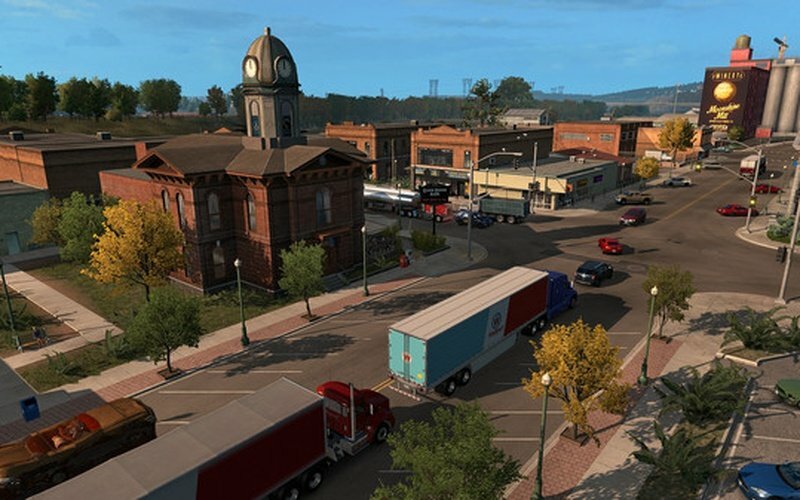 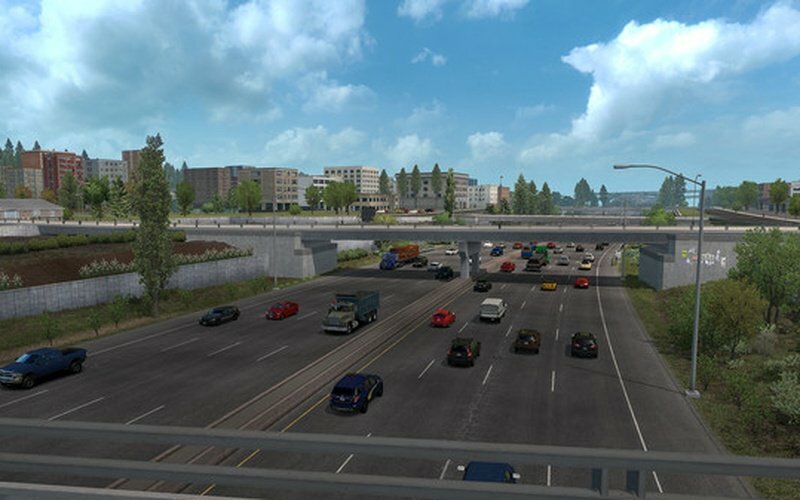 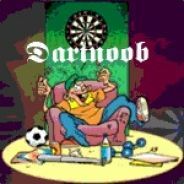 But, that's not all, as American Truck Simulator - Oregon also has many highly populated city areas like Salem and Portland that you're going to witness in all of their civilized glory. 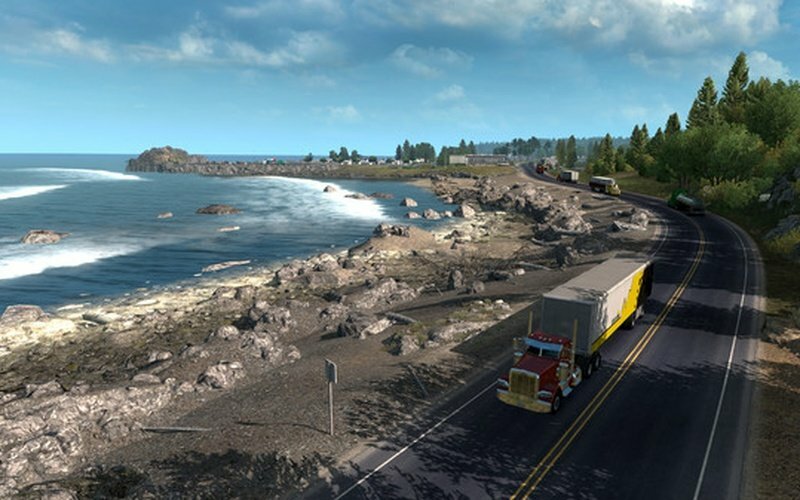 Oregon is one of the most geographically diverse states found in the Northwest region of the United States. 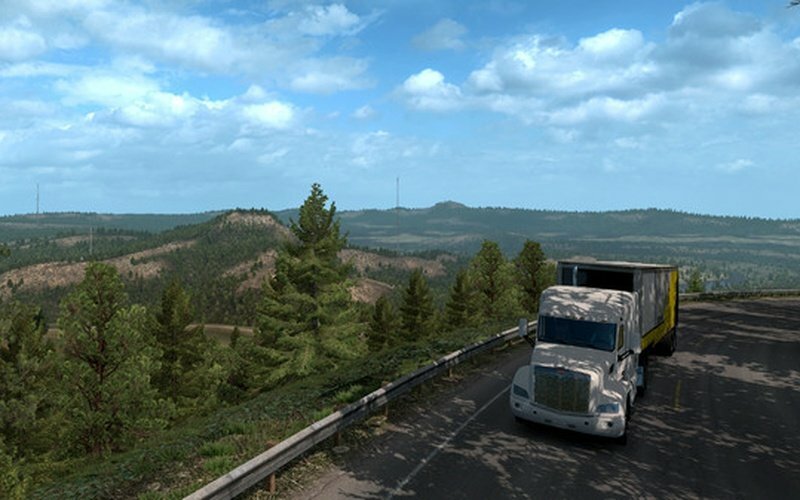 It's gigantic, has a population of 4 million people, and contains many various scenarios from luscious deep forests to bright blue water areas and wild rivers, but it also has terrifying volcanoes, large deserts, and dry scrublands. 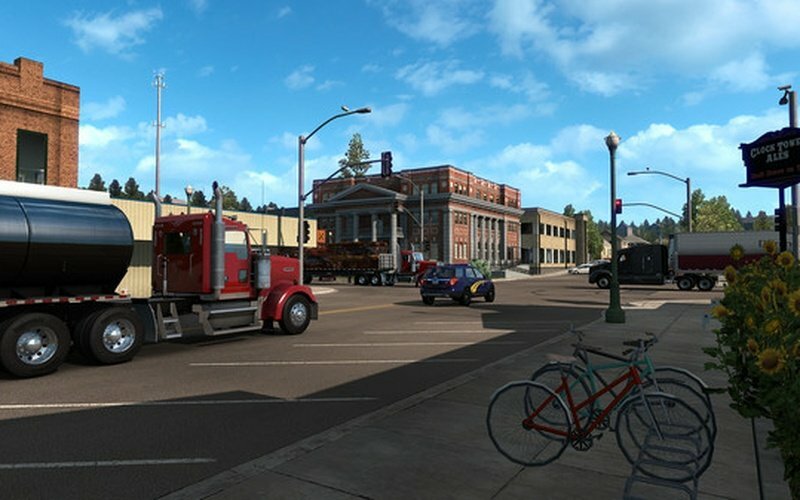 All this diversity found in one place. 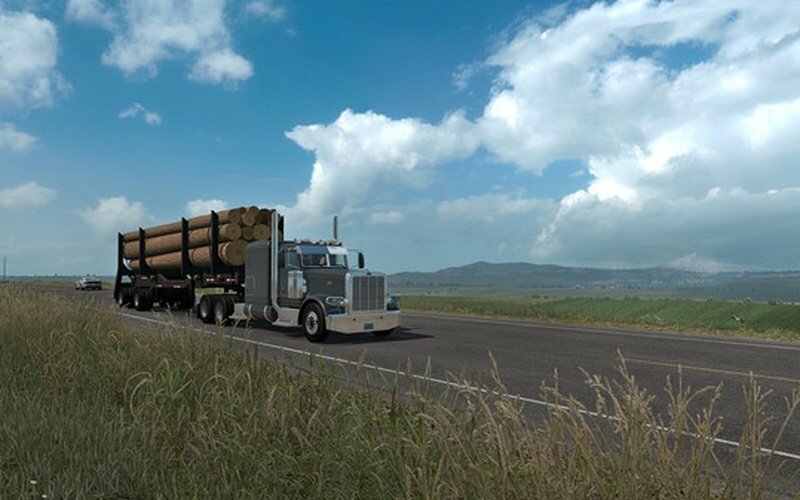 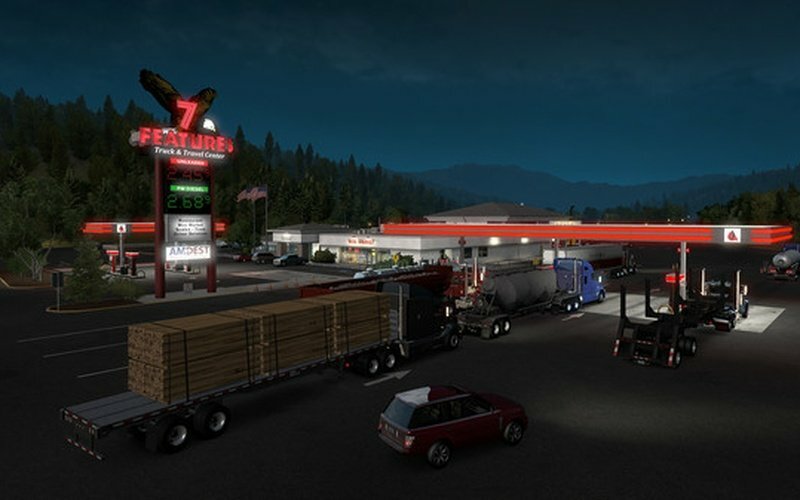 American Truck Simulator - Oregon features over 5,000 miles of unexplored new in-game roads, over 700 stunning new 3D assets, 25 realistic and detailed custom-built junctions and Interstate interchanges, 14 main cities like Eugene and Portland, many small rest areas and motels, 13 custom truck stops where you can park and refuel, 17 company docks and industries for you to see, and many famous landmarks, some made by man and some made by nature (Crater Lake, Youngs Bay Bridge, Thor's Well, and many more), as well as all kinds of achievements for players to unlock.